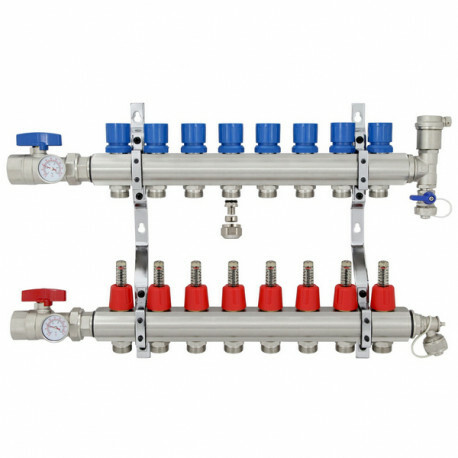 8-branch Deluxe Radiant Manifold Set. 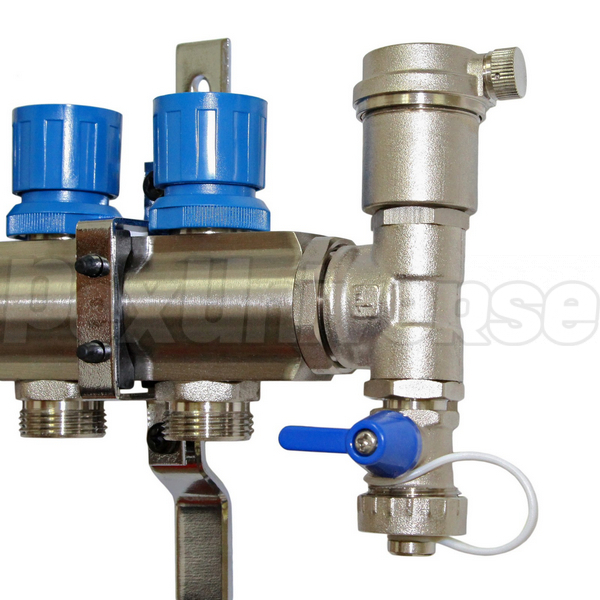 Brass body and components with nickel plated finish. 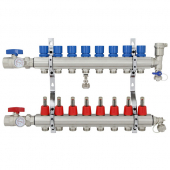 (1) Supply side radiant manifold w/ (8) flow indicators and (8) outlets for PEX tubing. 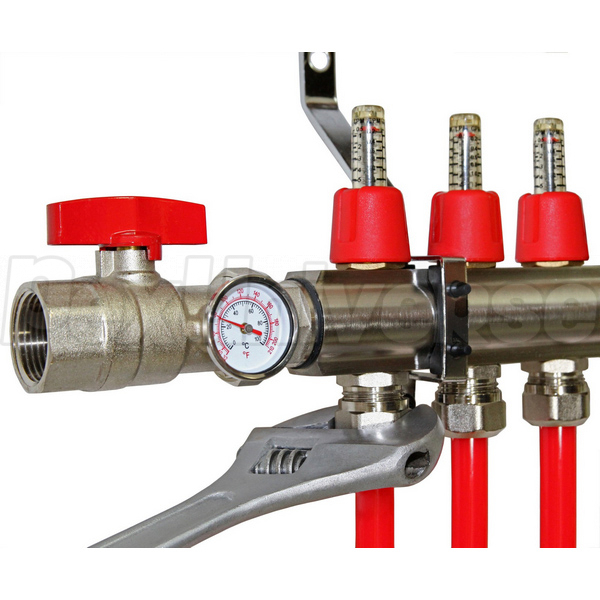 (1) Return side radiant manifold w/ (8) manual balancing valves and (8) outlets for PEX tubing. 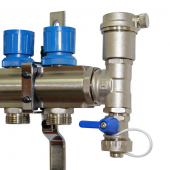 (2) 1" threaded shut off valves w/ 1/4-turn handles - one for supply and one for return manifold (red & blue). 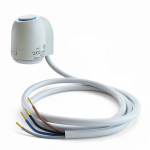 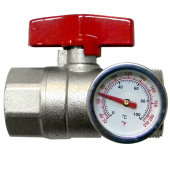 (2) Temperature gauges - one for supply and one for return manifold to monitor supply and return water temperatures. 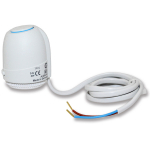 (1) Float-type air vent to eliminate air from the system (air vent caps included for pressure testing purposes). 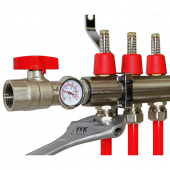 (2) All-in-one drain & fill valves with 3/4" garden hose (drain hose) connection and a cap - on each manifold. 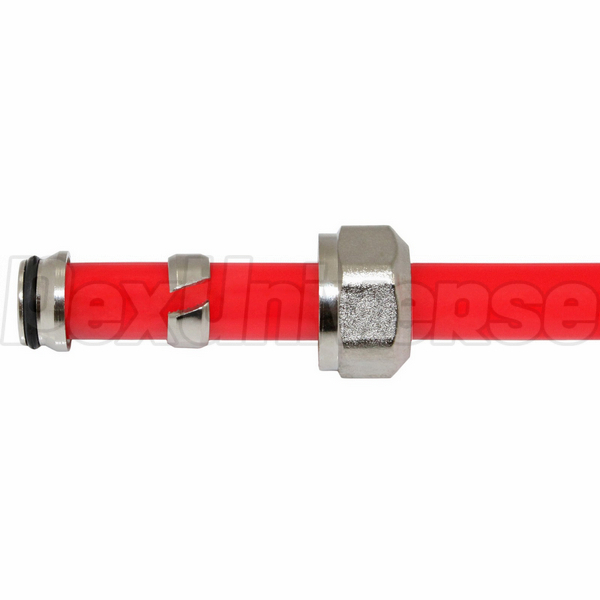 (16) Compression adapters for 1/2" PEX tubing - included, no purchase necessary. 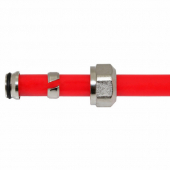 Adapters of other sizes (3/8", 5/8") can be purchased separately. Distance OC (On Center) between PEX outlets: 2"
Overall height when installed: 14.5"
Overall width when installed (with shut-off valves): 24.75"
Distance between supply and return manifolds (on center): 8.25"